Genetic discovery: Adam’s main interests revolve around the identification of genetic variation linked with coronary disease, related phenotypes (eg, vascular risk factors such as lipids) and molecular ‘omics (eg, plasma proteomics and metabolomics) using SNP arrays. Current efforts in this area include the CARDIoGRAMplusC4D 1M+ Hearts project, the 100,000 participant CHD Exome+ consortium and imputed GWAS studies in INTERVAL and UK Biobank. Human genetics to inform therapeutics: By relating informative genetic variants (eg, variants of known function) to disease outcomes and phenotypes, inference about the likely efficacy and safety profile of therapeutic agents (or potential therapeutic agents) can be made. For example, the work of Adam and colleagues at CEU has highlighted the relationship of IL6R variants to risk of heart disease, raising the possibility of monoclonal antibodies being repurposed from inflammatory conditions to cardiovascular pathways. Adam works closely with large pharmaceutical companies to help discover and evaluate pathways of potential therapeutic interest. EPIC-CVD: Adam is the Scientific Coordinator of the EPIC-Heart/EPIC-CVD study, which is a pan-European study of incident coronary disease and stroke including participants from 23 centres across 10 European countries. This project has a wealth of genetic, biochemical and risk factor data, which are predominantly utilised for the study of gene-environment interaction, cardiovascular risk prediction, and genetic discovery. Following training in Genetics at the University of Cambridge and Genetic Epidemiology at the University of Sheffield, Adam completed a PhD in meta-analysis of genetic association studies of coronary heart disease at the University of Cambridge. This research was carried out jointly with the PHG Foundation, the MRC Biostatistics Unit, and the Cardiovascular Epidemiology Unit. 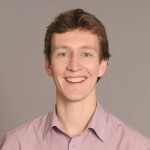 Since his PhD, Adam has worked in the Cardiovascular Epidemiology Unit, initially as a post-doctoral Research Associate, from 2012 as a University Lecturer in Cardiovascular Epidemiology, and since 2018 as a Reader in Molecular Epidemiology. As well as leading a Genetic Epidemiology team, Adam also overseas the Unit’s PhD students. Adam sits on the Admissions Committe and the Management Committee for the MPhil courses in Epidemiology and Public Health, as well as leading the Research Synthesis Module taught in term 1. In addition, Adam lectures in the Chronic Disease Epidemiology module, as well as lecturing on Research Synthesis and Genetic Epidemiology on the TMAT course. Adam is the CEU’s PhD student coordinator and also coordinates the quantitative stream of the BHF 1+3 PhD programme in Cardiovascular Research. Adam currently supervises 1 MPhil student and 3 PhD students. Sun B, …+31 co-authors, Butterworth AS. (2018) Genomic atlas of the human plasma proteome. Nature 558:73-79. Astle WJ, …+82 co-authors, Butterworth AS*, Soranzo N*. (2016) Thousands of genetic variants modulate blood cell variation and function in humans. Cell 167(5):1415-1429.e19. Liu DJ*, Peloso GM*, Yu H*, Butterworth AS*, …+174 co-authors. (2017) Exome-wide association study of plasma lipids in >300,000 individuals. Nat Genet 49;1758-66. Howson JMM, …+65 co-authors, Butterworth AS*, Saleheen D*. (2017) Fifteen new risk loci for coronary artery disease highlight arterial-wall-specific mechanisms. Nat Genet 49(7):1113-1119. Nelson CP*, Goel A*, Butterworth AS*, Kanoni S*, …+61 co-authors. (2017) Association analyses based on false discovery rate implicate new loci for coronary artery disease. Nat Genet 49(9):1385-1391. Surendran P, …+178 co-authors, Butterworth AS*, Howson JMM*, Munroe PB*. (2016) Trans-ancestry meta-analyses identify rare and common variants associated with blood pressure and hypertension. Nat Genet 48(10):1151-61. Burgess S, …+27 co-authors…, Butterworth AS, Danesh J. (2018) Association of LPA variants with risk of coronary disease and the implications for lipoprotein(a)-lowering therapies. JAMA Cardiol 3(7):619-27. Ference B, …+9 co-authors, Butterworth AS, …+4 co-authors. (2017) Association of genetic variants related to CETP inhibitors and statins with lipoprotein levels and cardiovascular risk. JAMA 318(10):947-956. Gregson J, …+76 co-authors, Butterworth AS*, Danesh J*. (2016) Genetic invalidation of Lp-PLA2 as a therapeutic target: large-scale study of five functional Lp-PLA2 lowering alleles. Eur J Prev Cardiol 24(5):492-504. Interleukin 1 Genetics Consortium, Freitag DF*, Butterworth AS*,…+138 co-authors. (2015) Cardiometabolic effects of genetic upregulation of the interleukin 1 receptor antagonist: a Mendelian randomisation analysis. Lancet Diabetes Endocrinol 3(4):243-53. Wood AM, Kaptoge S, Butterworth AS, …+113 co-authors. (2018) Risk thresholds for alcohol consumption: combined analysis of individual-participant data for 599 912 current drinkers in 83 prospective studies. Lancet 391(10129):1513-1523. Lassale C, …+47 co-authors, Butterworth AS. (2017) Separate and combined associations of obesity and metabolic health with coronary heart disease: a pan-European case-cohort analysis. Eur Heart J ehx448. Peters SA, …+41 co-authors, Butterworth AS. (2016) Parity, breastfeeding and risk of coronary heart disease: a pan-European case-cohort study. Eur J Prev Cardiol 23(16):1755-1765.